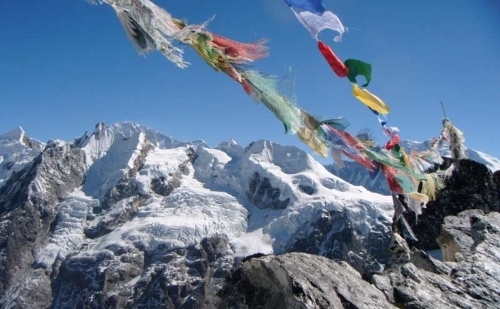 Island Peak climbing trip will start from Chhukung. Island Peak Climbing from Chhukung, a preferred adventure for trekkers around the EBC and climbers alike is situated in the middle of Chhukung valley, just like an island. The peak takes good effort to scale as it is glaciated in the west face, yet is equally rewarding with magnificent views form the top. 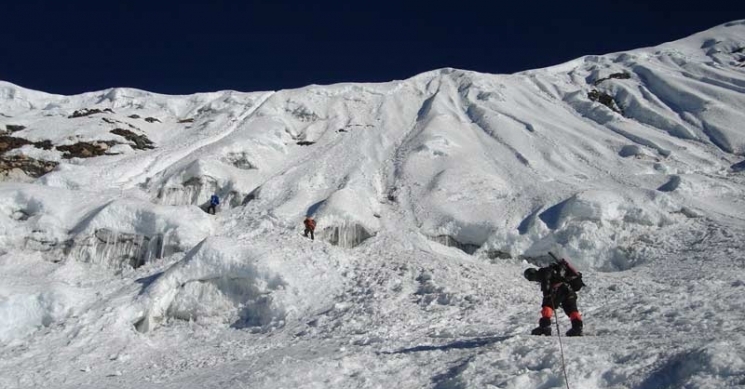 Outstanding views of Everest, Makalu, Lhotse et cetera definitely makes the climbing enthusiastic. At Chhuking(4750m), a short walk leads to a small settlement where we rest for the day and make preparations for the climb. 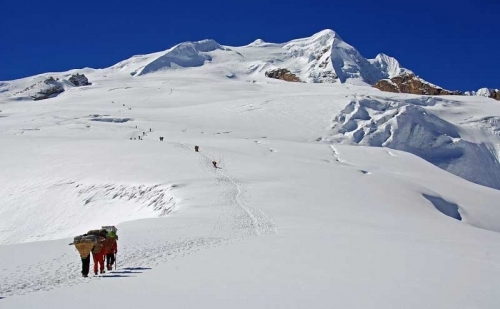 The next day we head on to Island Peak Base Camp, which is a steep climb followed by a comfortable walk through the river basin. Strenuous climb further takes us to High Camp at an elevation of 5600 meters where we rest inside the tent and prepare for the early morning climb the next day. 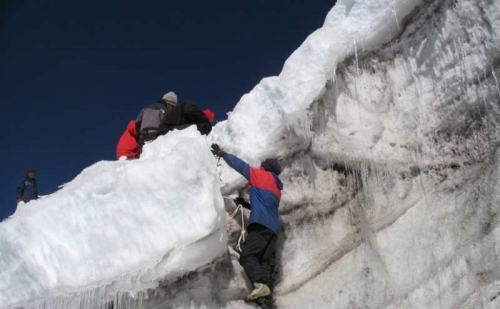 Through rock formations and glacial regions, we ascend to the top, taking the support of rope at some places. After enjoying the splendid view from the top, we make a descent all the way to Chhukung, where we rest after the strenuous journey. An extra day has been added to the trip as a contingency to bad weather or physical ailments. 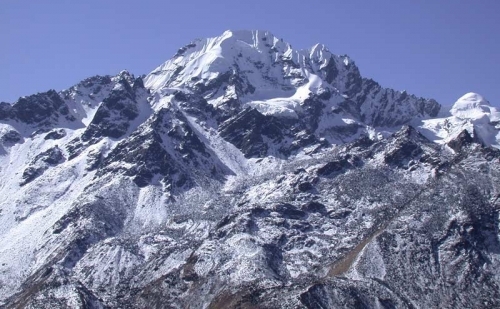 Day 1 :Chhukung [4750m] today, you have to reach at Chukung. 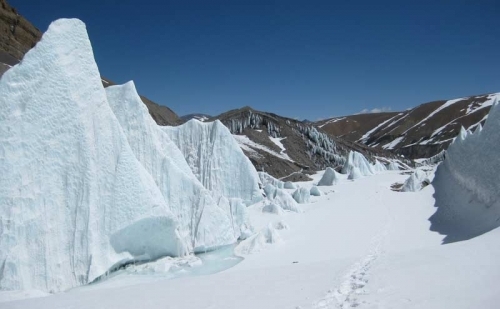 Day 2 :Chhukung to Island Peak Base camp: (5,200m) Today, we start early in the morning and ascend the rock culvert.The steep trail ascents along the south and takes a twist at the Lhotse glacier. An easing walk alongside the riverbed continues till a big rock. 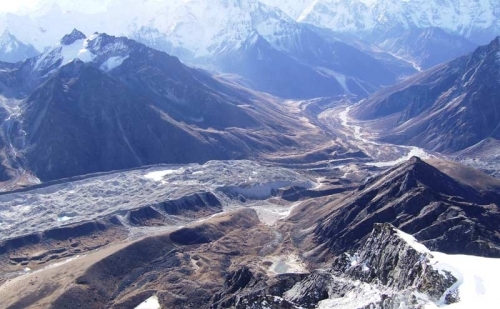 The zigzag route then passes Imja to Lhotse Glacier and opens up in a wide valley. 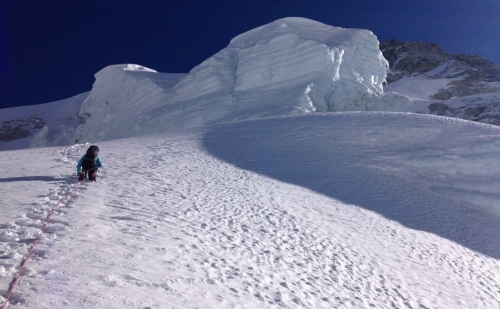 Southeast of the Island Peak lies the base camp where we set the tent and stay overnight. 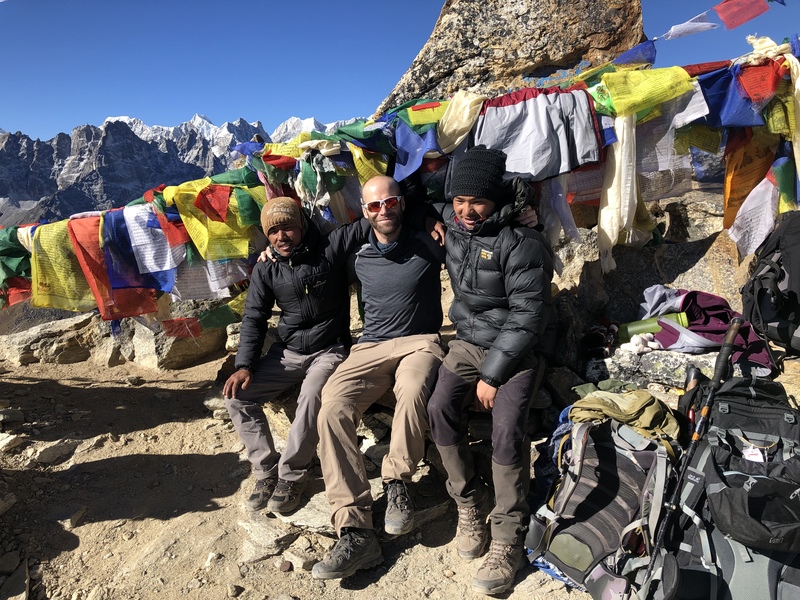 Day 4 :Base Camp to High Camp (5600m) - Summit (6,189 m) to Base camp to ChhukungThe sandy path in the beginning soon changes to a rocky ascent with the slope getting narrower. At a rocky steep the trail takes a turn and leads to the High Camp. Many such culverts come across along the route. Further on, we walk along the ridgeline that leads to the snout of the glacier. 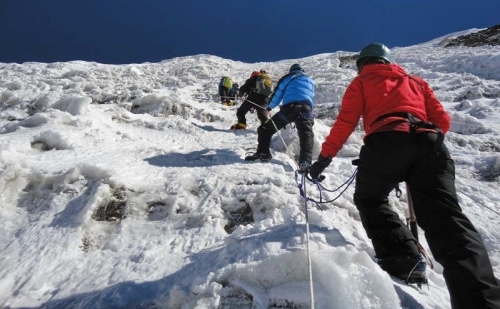 With the rope to support, we cross this snow and ice slope. From the top of the slope, the summit is just three rope lengths away. 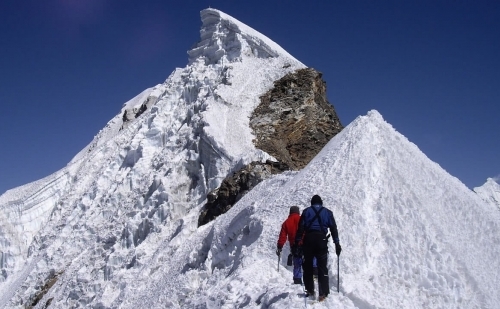 After observing an elevated and outstanding view from the summit, we descend a long way to Chhukung. Food & Accommodation yourself.